How the growing popularity of eCommerce has changed the distribution landscape. What was the catalyst that fueled the frozen foods online delivery movement. 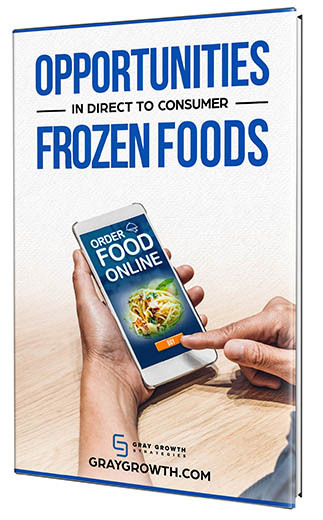 How technology has paved the way for large companies to include frozen foods in their eCommerce channel. How you too can position yourself to cash in on this mega trend in eCommerce and home delivery. Studies have shown that frozen foods are likely to see a significant fraction of food ordered online for home delivery. DTC is quickly becoming a preferred means of distribution for many smaller companies. Download this report to find out why the frozen food DTC business model may be right for your frozen food product! Send me the White Paper! © Copyright GrayGrowth.com | All Rights Reserved.